The PowerPoint slides are shared at the bottom of this post. Whilst you are remembering those five words, I am going to set you three challenges. What is 23 x 8? On your left hand, use your thumb to count your fingers 1, 2, 3, 4, 5, then back again 6, 7, 8, 9, 10. Now in your head recite the last five letters of the English alphabet backwards. How many of the five words that I asked you to remember do you still have in your memory? Does anyone still have all five? In our test, the Environment (me) provided some information which was fed into your working memory. You didn’t do much with that information, and immediately afterwards I distracted you with three more activities which demanded space in your working memory. Little wonder, then, that when I asked you to return to the original information (the five words I asked you to remember), some or all of it had been pushed out of your mind without ever having made it into your long-term memory. There are some more demonstrations that will help us understand why sustained concentration on the task in hand is important. The first is to do with focus, and multitasking. You might think that you are really good at multitasking, and that you can easily do two, three or more things at once. Where some of those things are automatic – walking and talking, for example – that is probably true. 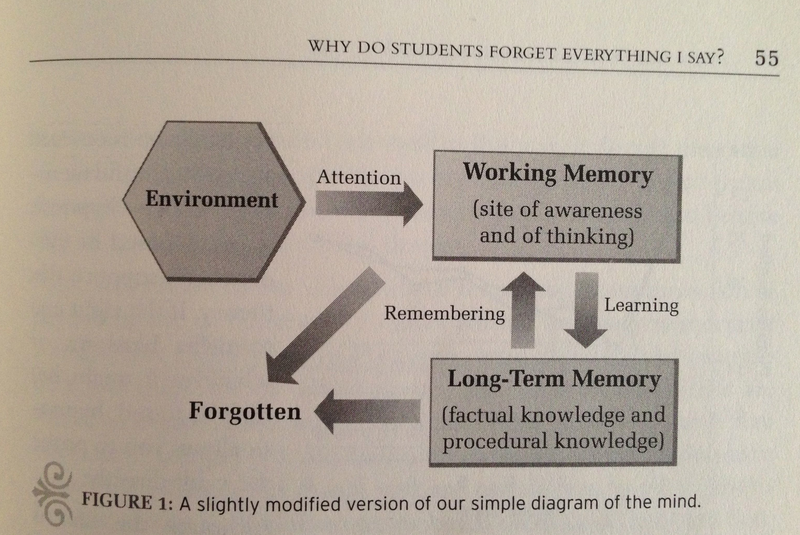 However, your working memory can only focus on one cognitively demanding task at a time. In that way, it’s like focusing a lens – you can only focus on one thing at a time. Let’s take this optical illusion as an example. In the picture, the man’s face can be seen looking to the right, or looking straight ahead. See if you can see both! Looking to the right, or looking straight ahead? Both – but not at the same time. 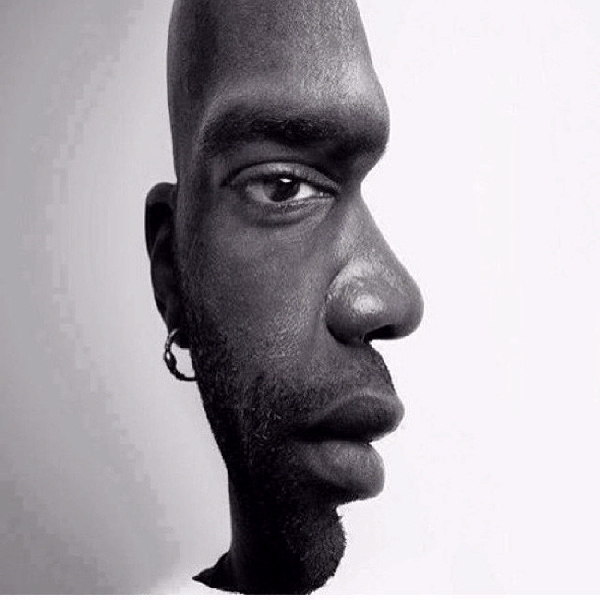 Now try to see both at the same time. Your brain switches from one to the other – it will only let you hold one interpretation of the picture in your head at one time. This is what happens when you try to multi-task. Your working memory actually switches from one task to the other. This is called context switching, and you may be able to do this quickly (there is some evidence that women are better at it than men), but you are not multitasking. You can’t. Finally, here’s a demonstration of context switching in action. I need a volunteer from the audience to take this box of multicoloured balls, and arrange them in rows of four in the order of the colours of the rainbow. At the same time, they will be solving some Mental Maths Questions from the KS2 Maths SAT Buster book. I know this challenge well, because Bradley used me as his volunteer at #GrowEx when conducting the same experiment. Essentially, your brain can either focus on arranging the balls, or on doing the maths – but not both. As I was trying to arrange the balls, I got simple questions wrong. When I thought about the maths, my hands stopped moving. My working memory would not allow me to do both things at the same time. I felt embarrassed, but I shouldn’t have; I was simply demonstrating a human characteristic. Our brains cannot do two cognitively demanding things simultaneously. And don’t kid yourself that you can do two things at once; you can’t. Once you’re distracted, the damage is done. Apply and use what you have learned straight away if you want to stand any chance of remembering it. And, by the way, 23 x 8 = 184. Here is the PowerPoint, though the gifs don’t work in this slideshare version. 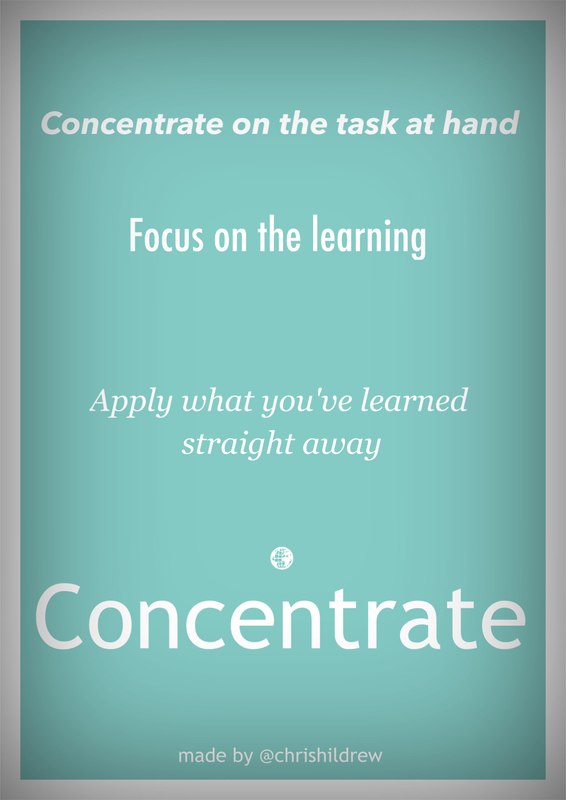 Click on this link for the full version: Concentration.